This Sunday-Best Sue Quilt Pillow designed by Marian Shenk of FreePatterns, The Pattern is available for free. 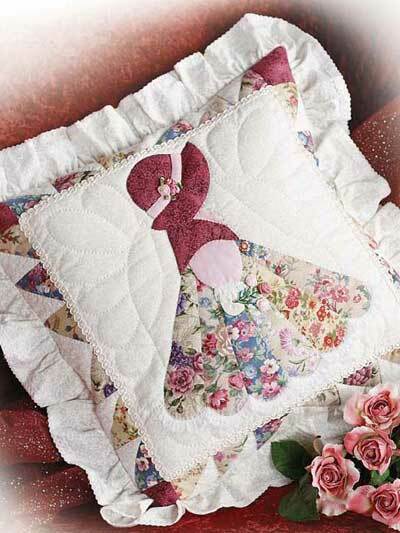 This beautiful, free quilted pillow pattern features Sunbonnet Sue, all dressed up in her Sunday best. Pillow Size: 16" x 16" without ruffle.